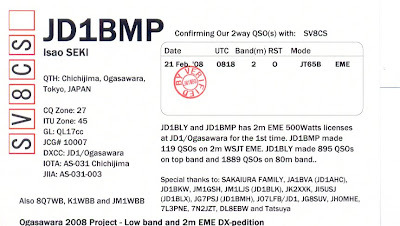 After the confirmation of my qso with JD1BMP via the LoTW (ARRL) today received also the paper qsl from ISAO - JM1WBB. Thank you very much ISAO for the qsl and the new one on 2m EME (DXCC and Locator) from Ogasawara island. 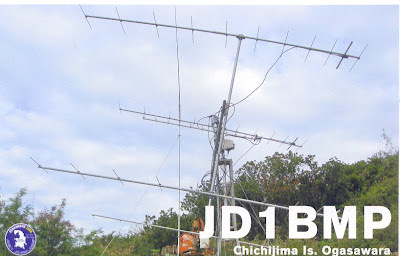 JD1BMP (Ogasawara) - 2M EME New One.